Reba Bowden, age 92, of Norwalk died Monday morning, November 19, 2018 at Unity Point – Iowa Methodist Hospital in Des Moines. A Celebration of Life Services will be held at 11 a.m. on Saturday, November 24th at O’Leary Funeral Services in Norwalk with a visitation beginning at 10 a.m. Burial will follow in the Norwalk Cemetery. A luncheon will follow in the O’Leary Celebration of Life Center. On-line condolences and flowers are available by clicking the “send tributes/flowers” tab on this screen or call (515) 981-0700. Reba Pearl Bowden was born to Willard and Opal (Shoemaker) Mason on June 2, 1926, in Bevier, MO. She was raised in Macon, MO and later graduated from Huntsville High School. On December 31, 1942, she married Joseph Bowden Jr. in Bethany, MO to this union they had 8 children. In 1971, Reba and Joseph moved to Norwalk. She worked for Iowa Casket Company, and later went to work at Ross Daniels a root feeder company, retiring as a Union Steward after 20 years. Reba loved being outdoors, camping, and fishing. With the family cramped into one little car, she loved to travel. She loved to sew and crotchet and when her children were younger she made most of their clothing. Reba always had a trusty Boston-Terrier companion by her side. 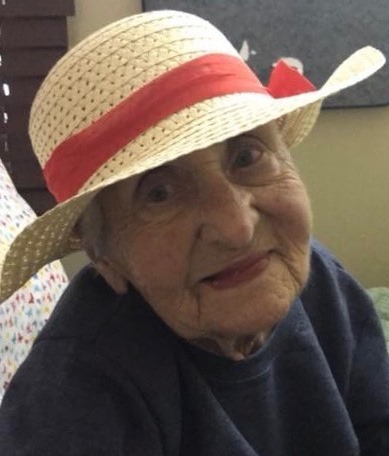 Her favorite hobby was spending time with her grandchildren and great-grandchildren. Reba is survived by her children Larry (Glenda) Bowden, Sandra Merrifield, Janice Bartley, Susan Bowden (John), Mike (Jeanie) Bowden, Ray Bowden, Becky Bowden, and Dave Bowden; her siblings Ronnie Mason (Nelsie) and Doris Metzger (Max); and numerous grandchildren and great-grandchildren. Reba was preceded in death by her husband, parents, and 6 siblings.